After my first year placements I found myself increasingly more understanding of the role of a nurse in hospital and community settings. At the beginning of 2nd year I started to research into nursing placements abroad and when I came across 'Work the World', it seemed perfect. I rang up the next day to enquire; the staff were so easy to approach and very helpful in answering all of my millions of questions. 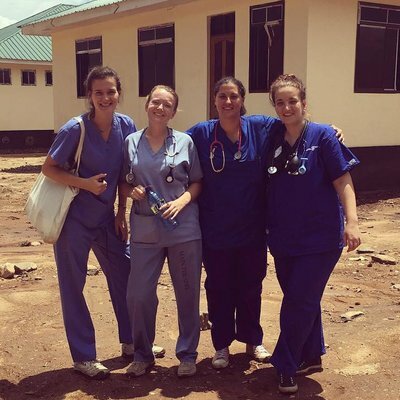 I decided to go to Dar Es Salaam in Tanzania where I completed my 6-week block placement. 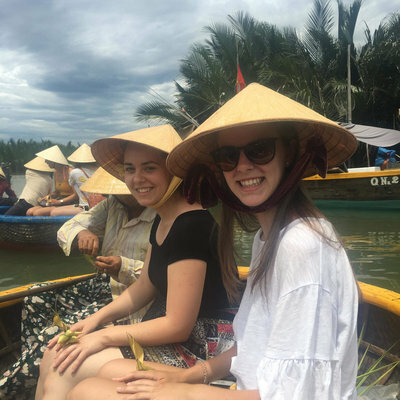 I divided into the 6 weeks into, 3 weeks internal medicine, 2 weeks obstetrics & gynaecology / maternity and a final week in a local village were I stayed with a host family. The first 5 weeks I was in the National Hospital which is one of the largest of four referral hospitals in Tanzania. In practice I noticed a significant difference in many aspects of nursing compared to the UK. The ward had a less beds than the number of patients. Situations where three patients, all of which have highly infectious diseases, had to share one bed, or patients were on mattresses on the floor, were common. Health care staff just had to work in these poor situations. Another difference was a lack of personal care. The nurse's role in the UK in providing personal care to patients is regarded as one of the main aspect of nursing. It allows the nurse the opportunity to communicate with the patient, building a professional relationship with them and also to assess them physically and psychologically (Brooker and Waugh, 2007). In Tanzania the relatives of the patients took on the responsibility of providing personal care. Many patients were bed bound and relied on help for washing, dressing, feeding, toileting, but with strict visiting times it was only when the relatives visited that a patient would be cared for. My supervisor looking after me was lovely, she spoke English well and I was able to discuss with her my outcomes for my placement ahead. I was eager to see around the hospital, I asked if I could organise to visit different wards and clinics. I got the opportunity to visit intensive care ward, psychiatric ward, paediatric ward, malnutrition and sickle cell clinic. It is important to use the time you have on placement to get ever opportunity you can, so I recommend you speak up and ask or you will never get. The house i stayed in Dar was amazing; it was close to coco beach, good for going walking to burn off the beautiful African food that was provided. The people I shared the house with made my experience so much fun and enjoyable. At the weekends we went on safari, chilled on beaches, went to the local markets, visited an orphanage and loads more. The village experience was the highlight of my trip. I stayed with a host family, my African family! I was accepted into the family and they treated me with such kindness and love. My tour guide organised fun activities for each day of the week. I went to the village hospital every day; it was a lot smaller that Muhimbili, it was good to compare the national size to the village. I was involved in helping an emergency admission, were i had to make a leg splint from wood. Overall my experience in Tanzania was overwhelming and a life time opportunity. 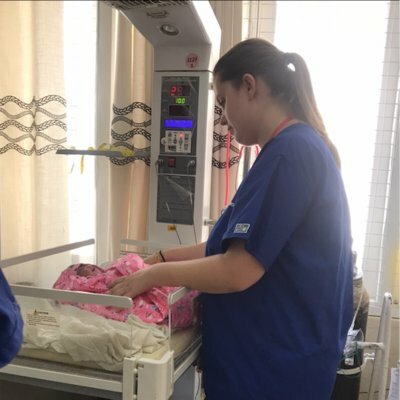 At times working in the hospital was tough but learning about different cultures, being a part of a warm loving community and seeing the work of charity funding being put in place, made my experience positive and unforgettable. I have learnt to appreciate all the facilities and health care we are available to here in the UK. I also learnt how many aspects of nursing are vital to provide a patient with best quality of care. I highly recommend all nursing students to travel with their placement. I feel that this has changed the how I perceive my role and hopefully will make me a better nurse in the future. I will definitely going back to visit and hopefully stay there for a longer time.